Do you want to be a dog trainer? Perhaps you have always had a way with dogs. Maybe you trained your own dog and found it interesting. Many people love the idea of training dogs. Some opt to train dogs as a hobby while others do it as a full-time profession. 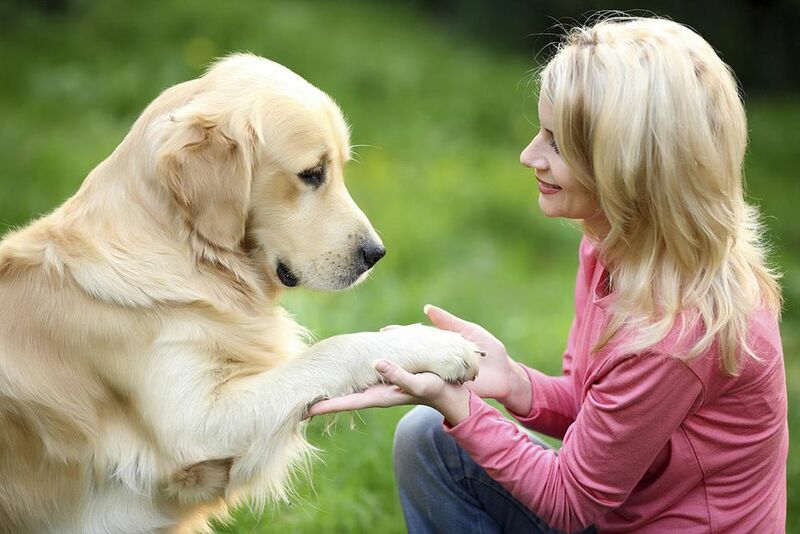 No matter which you choose, you'll need to know the steps involved in becoming a dog trainer. Dog trainers work with puppies and adult dogs and their owners. They teach dogs everything from "manners" and basic commands to fun tricks. Most dog trainers also work with dogs that have behavior problems. A big part of dog training involves teaching owners how to work on training and manage behavior in their own dogs. A dog trainer might teach group training classes one day, then do a home visit to train one-on-one the next day. One of the best ways to learn about dog behavior is to spend time with dogs. There are several ways you can get hands-on experience with dogs. Working at an animal shelter or veterinary hospital will allow you to work directly with a large variety of dogs of all breeds, sizes, and temperaments. There may even be a trainer or behaviorist on staff who can begin to show you the ropes. When you're ready to start learning about training methods, it's a good idea to apprentice with a dog trainer or to take classes in dog training. You can ask trainers in your area if they are accepting apprentices. There are a number of places that offer dog training and behavior classes. Some community colleges offer them through adult education programs. There are also a number of places that have designed their own dog training courses. Some allow you to work online, and others have you attend for a specified number of weeks. Because there is no accreditation for these dog training schools, do your homework carefully before enrolling in one. Make sure the school or organization, as well as the instructor, has a good reputation. One way to find out about educational opportunities for dog trainers is to join a professional organization, such as the Association of Professional Dog Trainers. They will often host or advertise seminars, workshops, conferences, and other hands-on opportunities to learn about dog training. It's also a great place to connect and network with other dog trainers. There are currently no degree programs for dog trainers. If you're interested in dog behavior and seeking to advance your education, you may be interested in a career as an applied animal behaviorist. According to Animal Behavior Associates, Inc., certification to be an applied animal behaviorist is given to those with a master's degree or Ph.D. degree in a behavioral science with specific courses in animal learning, ethology, and behavior. A DVM and advanced training in animal behavior can also meet the criteria for certification. Dog trainers are not currently required to get certified. However, the Certification Council for Professional Dog Trainers does offer certification and ongoing continuing education. To attain certification, dog trainers must get recommendations, have a minimum amount of dog training experience, and pass a 250-question exam to show their knowledge of dog training and behavior. The CCPDT offers a handbook to help potential certification candidates prepare for the exam. Even those dog trainers not planning on taking the certification exam at this time can benefit from looking over the handbook to get an idea of the general body of knowledge required by the profession. If you believe that dog training is more than just a hobby for you, and you would like to pursue it as a career, it helps to have some business experience. If you're dealing with clients, there's a good chance you'll be spending just as much time on customer service as actual dog training. It's also important that you have information on starting a small business and running it.